While most financial content out there is geared toward people who overspend or don't know how to budget, I've come to realize that there's an underserved population in the world of personal finance: Those of us who feel an unsurmountable amount of guilt when we spend money. That is to say, those of us who feel like we have a hangover if we spend money on things that aren't deemed as necessities. Or, those of us who agonize over saving a few dollars here and there. This happened to me just last month. I was getting asked to do more media appearances and speaking gigs, and since I'd sold most of my office attire when I quit my job to go into business for myself full-time, I needed to update my wardrobe. I was smart about my purchases. I bought only what I truly needed and I bought it second-hand to save money. And I certainly earn more than enough money to pay for it. Yet, even though I was being responsible, I still felt terrible about spending money on clothing. Where is the guilt coming from? The uncomfortable feelings I felt when buying that clothing sent me on a quest to find other people who feel the same way I do. 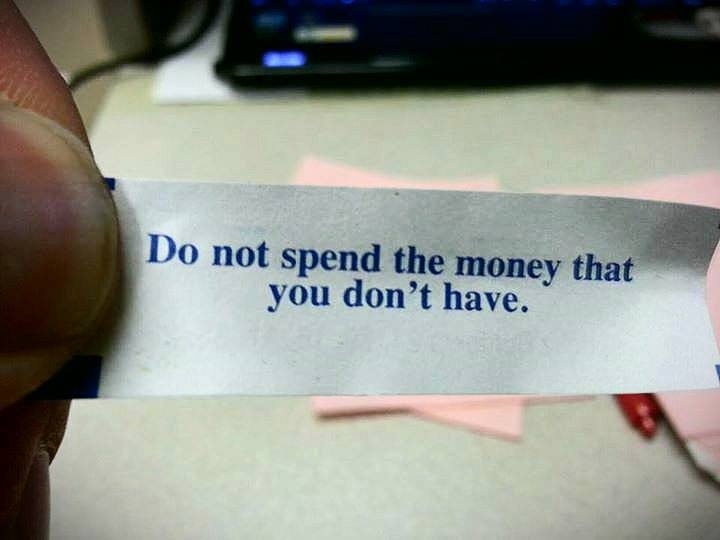 Turns out, most of my colleagues and friends also guilt themselves over spending money. This is especially true if they successfully climbed their way out of financial turmoil. The harder they worked to fix their finances, the more guilt they felt when they responsibly spent some money. Usually, it was because they were afraid they would fall into bad habits again. Or, they would chastise themselves because they know better now. If you also happen to guilt yourself over spending money, even when it's done responsibly, here's how to get over it. Realize that enjoying money is part of the equation. The reality is there is such a thing as healthy spending. At the end of the day, personal finance is about striking the balance between saving, investing, and spending. There's no point in working as hard as we do if we don't at least get to enjoy some of the fruits of our labor. The key is to enjoy those fruits within reason. You’re no longer just surviving. The common theme I noticed among the individuals I spoke to about guilt was that they'd climbed out of some sort of financial turmoil. Sometimes it was debt. Sometimes it was a bad relationship that destroyed their credit. Sometimes, as it was in my case, it was experiencing the stress of unemployment or underemployment. People were accustomed to merely just trying to survive for so long that it's become cemented into their minds even if their finances are now sound. When this happens, we're driving straight into having a lack mentality or thinking there isn't enough. The funny part is this usually ends up having the opposite effect of what we desire because we can't see that we're now okay. For example, we may deny ourselves of things we actually enjoy because we think there isn't enough money even though it's not true. This leads to a lot of misery which was exactly how we wanted to stop feeling when we fixed our finances in the first place. You can change all of this. If your finances are fine but you're still guilt tripping yourself over enjoying some of your money, your homework is to add some flexibility into your budget. Set aside some money each month that you'll allow yourself to spend guilt-free. I personally use my Digit account for this because it's literally extra money I have sitting around after savings, investments, and bills. By doing this, I've been able to cut myself some slack and start enjoying what my hard work has afforded me.